Chase Lea Apartment Homes is dedicated to offering exceptional apartment living within a vibrant and well-appointed environment. Our location, just minutes from downtown Baltimore, MD, is perfectly situated for an easy commute, a day at the park, or a delicious bite out. At home, pour a cup of coffee at the breakfast bar while the clothes dry in your full-sized dryer, or put your feet up outside on your private balcony. There’s plenty of room to breathe deep and live well. It’s easy to stay fit and feel good with amenities such as a fully equipped fitness center, tennis court, playground, and shimmering swimming pool. We’ll keep everything looking and running beautifully, even after hours, with 24-hour emergency maintenance. 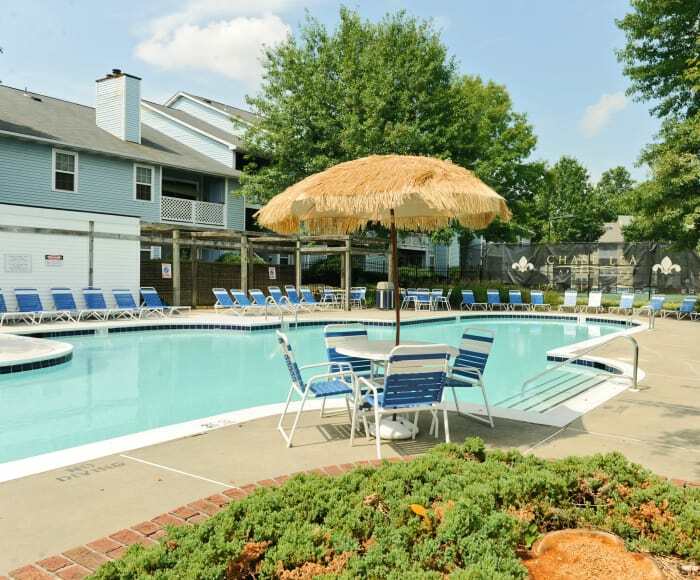 Come home to comfort and convenience in Owings Mills, MD. Schedule your private tour to see all the amenities available at Chase Lea Apartment Homes, a Morgan Properties community.